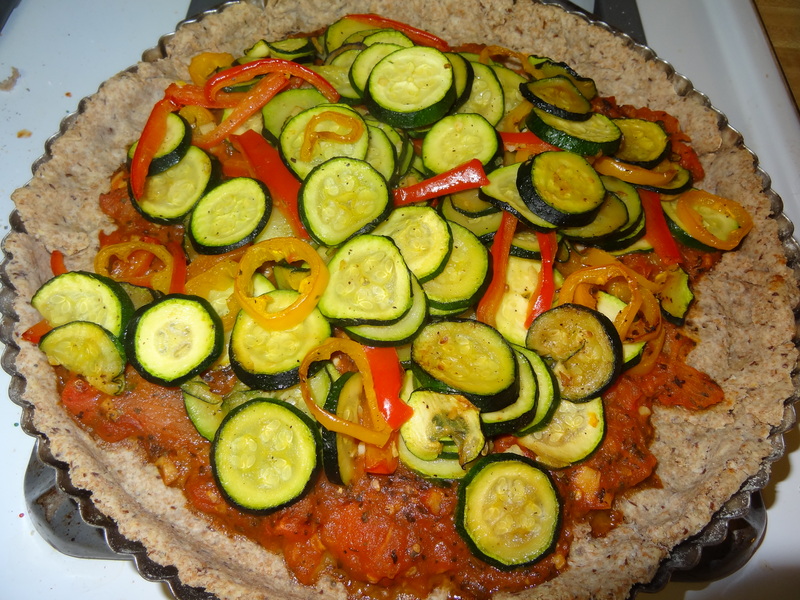 Last night wanted a vegetable tart so created this pie. I had read about them tried them before but it never came out like this one. JUST PERFECT ! 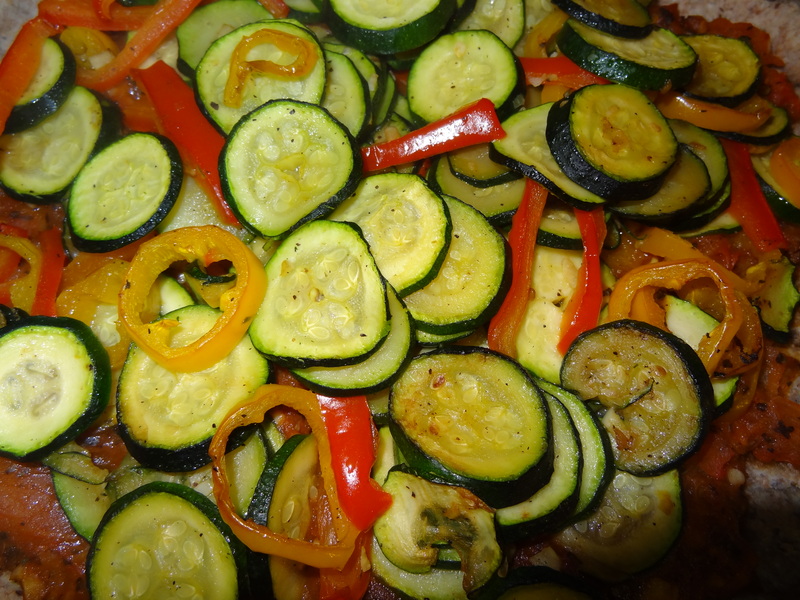 vegetables: 3 zucchinis, red and yellow peppers garlic, fresh roma tomatoes, extra virgin Olive oil. You could add any vegetables you would like – this is what I had. So here is the way I prepared them and they turned out just right. 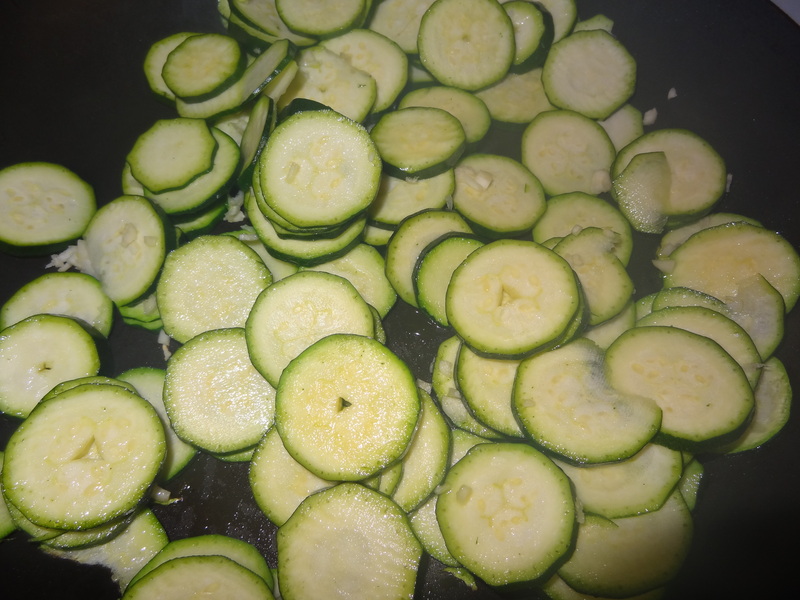 Wash 3 zucchinis and cut them in round thin circles. Add 1 tablespoon of extra virgin olive oil. 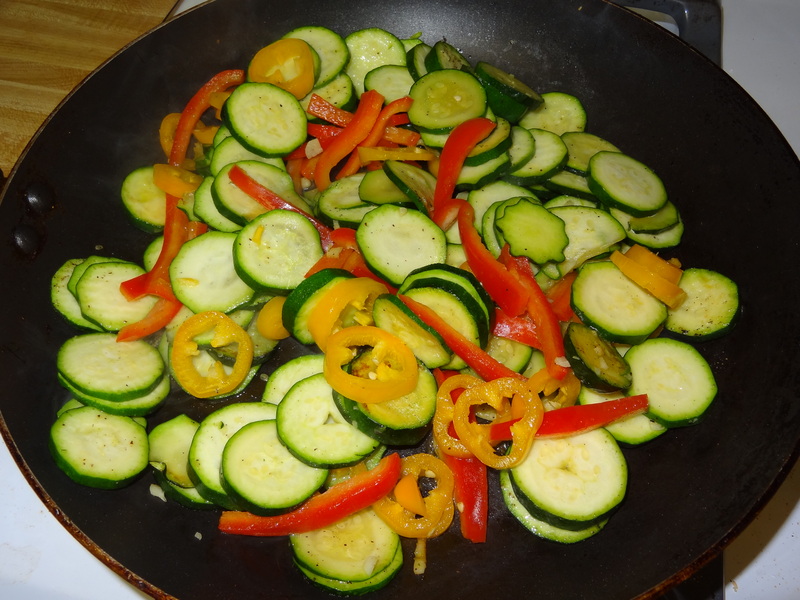 Add the zucchini and one garlic clove cut in very small pieces. What a wonderful smell. 2. Add peppers and cook a few minutes. Veggies should still be crispy ! When done, put the vegetables on a plate and reserve. 3. To prepare the tomatoes. 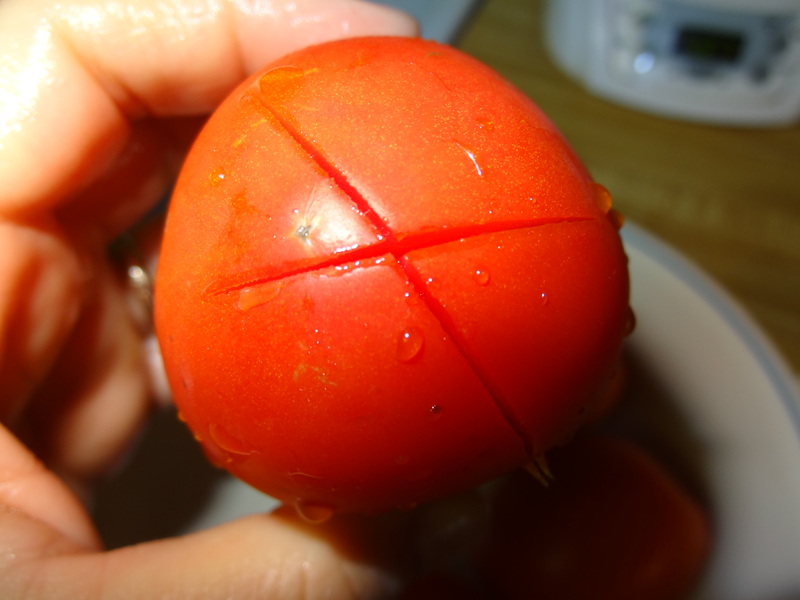 I boil water and cut the tomatoes at the end with a cross. I pour boiling water on them in a bowl. Wait a few minutes and remove the skin. 4. Add 1 tablespoon of extra virgin olive oil, tomatoes cut in pieces and one garlic clove cut in small pieces. Cooks tomatoes. when done you can assemble the pie. 5. 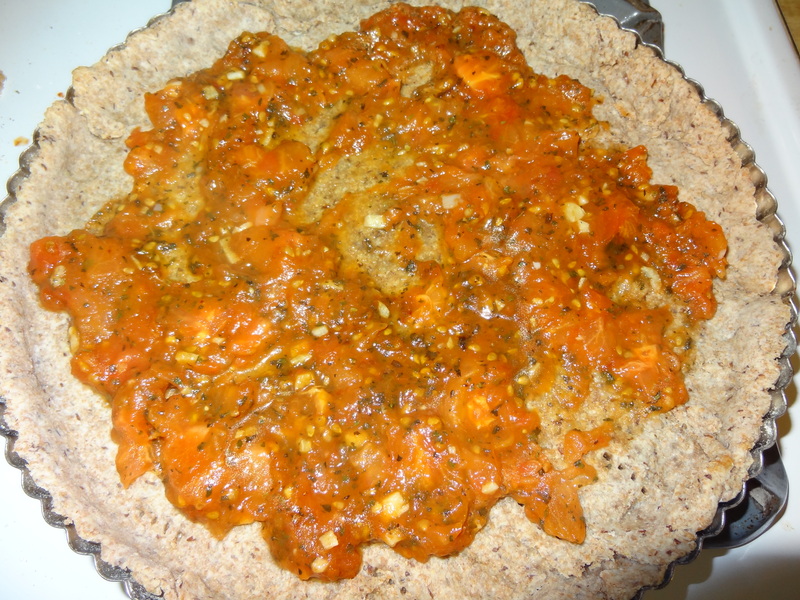 Take one baked pie crust, add tomatoes on the bottom. 6. Add Vegetables on top. and bake in over for 20 minutes at 350!